It's love, true love on an all-new edition of The Weekly Podioplex as the sluggish year gets a reboot with three new releases in the top three spots. 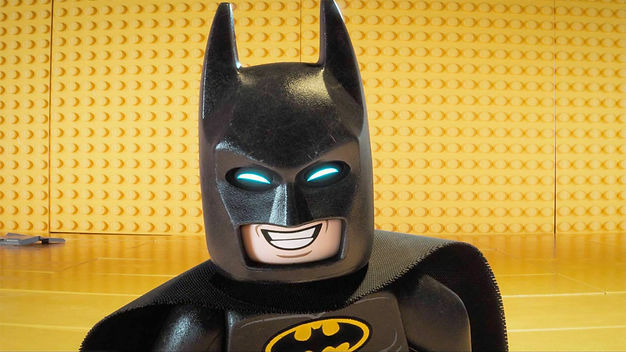 LEGO Batman will have his hands full fighting mythic monsters as Hollywood and China join forces at The Great Wall. Does the Caped Crusader have the power to break a wall not made of plastic bricks, or can he rely on the undying love of the fans to keep him on top? In home entertainment, several titles make their debut, including the sci-fi darling Arrival and, on digital, Marvel's newest dimension-beinding wizard. TV on DVD brings drama and crime fighting, the latter with an addiction to lollipops, along with the Starship Enterprise in HD. Raquel Welch caps it off with a trip to the stone age before Denise gives us the lowdown on how Baby Groot is a jerk. After that, we put a bow on this Valentine's Day edition of the Weekly Podioplex because we choo-choo-choose you. Either that, or we shot you with Cupid's arrows again. That cherub really needs to quit leaving his weapons lying around The Chronic Rift Network.